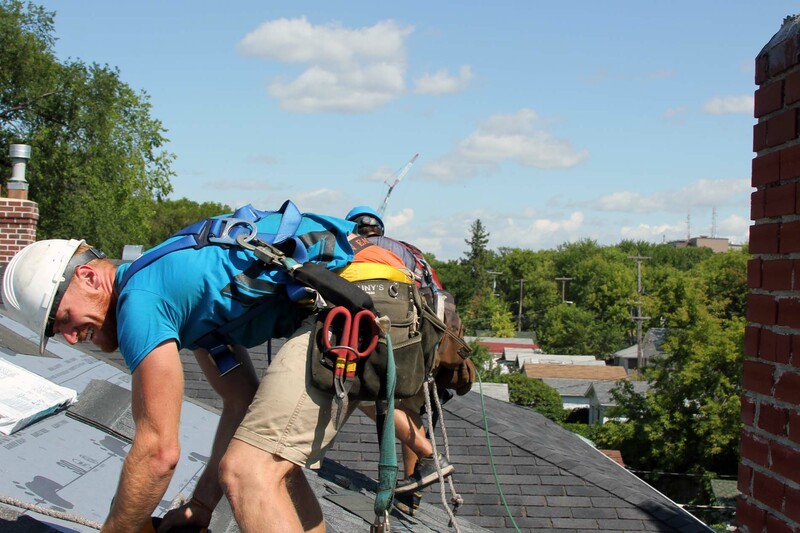 Whether you’re looking for roofing, exteriors or insulation, we’ll provide durable, benefit focused solutions that deliver long-term value for you and your project. Our primary goal is for you to be satisfied with the work. To ensure this, we give fair detailed price quotes, help you with the tough decisions and take care to protect your property during the installation. Keep the elements out and transform the look of your home. Whether it's siding, eavestroughs, windows or doors, our team has extensive experience working with a variety of materials. To ensure your home is getting the right protection, we work with you to identify areas for improvement and walk you through the insulation process step by step. We believe that client relationships are the most important part of our business. To support these relationships, we only hire people passionate about their areas of expertise. Staff who enjoy coming into work will always go above and beyond to leave our customers happy. We want to ensure that our customers always receive the best possible work. This commitment extends to every service we deliver and every employee who delivers it. We are committed to being industry champions, elevating service standards to deliver a quality product, safely and with the best interest of our customers at heart. We build value into every project we undertake. We work to understand the needs of our customers and provide long lasting, worry-free solutions that will hold up to high standards. This leads to satisfied customers and more peace of mind that the job is done right. Above All exists to create a positive difference in people's lives. We strive to be a place where people are valued, cared for, and empowered to reach their potential. Because of this focus, we have become experts at what we do, we enjoy working together, and we have satisfied thousands of customers. At Above All Projects, our goal is to exceed your expectations throughout all aspects of your project – from the first contact to the follow up when the work is completed. Our mindset is to regard your property as though it were our own. Our company’s success is measured by your satisfaction. With an emphasis on quality, we look at each project with the intention of doing the job properly, looking at your complete exterior system in order to determine your roofing, insulation, siding, and commercial needs. At Above All Projects we strive for excellence in everything we do. This philosophy not only extends to the work we do, but also carries over into how we clean up and protect your property during the project. The two most common compliments we receive after the work is done have to do with our impressive clean-up and the attitude and composure of our crew members.